If your neighborhood is like mine, a lot of talk has been centered on the spring rains that have been a blessing to the North Texas region. But just because we've gotten significant recent rains doesn't mean that we're out of the woods in terms of the drought. And just because things are green and healthy now doesn't mean that you can leave your yard on autopilot through another North Texas summer. According to the Tarrant Regional Water District (TRWD), which is one of the biggest raw water providers in North Texas, their current water supply level is at 76 percent. While the recent rains have done a lot to improve the water situation, just a couple months ago the water supply was down to nearly 60 percent and the region remains in the fifth year of a severe drought. Most North Texas cities currently have two-day a week watering restrictions. If the supply drops below 60 percent, that will trigger one-day a week restrictions. But while water is a major ingredient to a healthy and flourishing lawn, there are many other ingredients that need our attention as well. Used properly, these other ingredients can help us make up for smaller water amounts, not only helping our collective water conservation efforts, but also keep us on the short list for the "Yard of the Month" award. 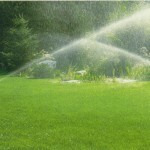 Just like human beings, proper preparation of our yards will help them perform this spring and summer. 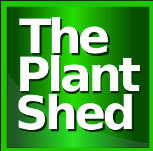 Jim Lawson, Grower & Buyer with the Plant Shed, which has three locations serving the Fort Worth area and was a recent winner of "Best Nursery" from Fort Worth magazine, provided his top five tips to get them ready. "First, before you can begin to weed or feed your lawn you need to remove any remaining leaves from fall that still cover your landscape. Second, early spring is the time to control weeds in the lawn, you want to use a pre-emergent weed control to deter any early spring weeds before they appear. Use HI-Yield Ornamental Grass and Weed Stopper with Dimension. Once they have appeared you will need to use a post-emergent weed control to kill any weeds that are already actively growing, use Hi-Yield Weed & Feed. Bonide Weed Beater Complete is a pre and post emergent weed control that takes care of both types of weeds. Third, equipment maintenance is very important! Check mowers and other equipment to ensure that everything is in good working condition before the season begins. This also includes checking sprinkler heads and timers to make sure all are in working order. Fourth, before the turf begins to green up, it's a good idea to remove last fall's remaining growth by mowing or scalping the lawn. Fifth, begin a regular fertilization program," said Lawson. Besides preparing for the onslaught of our summer heatwave, preparation is also key if a complete overhaul of the landscaping is on your to-do list this spring. And that preparation begins down below. "Healthy vital soil is a crucial detail of any landscape project. Without healthy soil, the plants that are used will not be healthy and will struggle to survive! One of the best ways to ensure the best possible growing conditions is to check your soil PH level regularly either by using a home test kit or sending a sample to their county extension agent for sampling. The optimum PH level should be between 6.5 and 7.0. Soils with the proper acidity level will respond better to fertilizers. Once the PH is determined, we can then help to correct any areas that need to be addressed," said Lawson. "Also, whether you're planting in containers or in the earth itself, you need to determine what type of soil you are working with. Is it clay, sandy or rocky? Once you've determined what type of soil you have you will need to decide what to use to correct any problems they may have. An addition of Organic compost is always good for most types of soil. 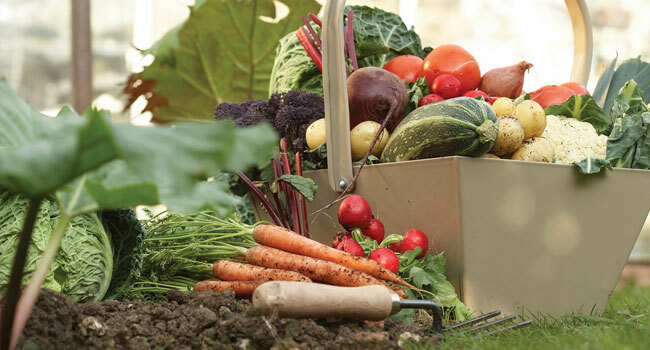 Compost adds organic materials that are vital to a successful landscape as well as helping to loosen clay soil as well as helping to retain moisture." Most folks with green thumbs know that fall is the best time to plant, but Lawson said that while that is the case, spring is also a great time to plant because the temperatures are still cool enough for most plants to become established. Also, the selection of plants is quite larger in the spring than in the fall at most area nurseries. No matter what time of year you plant, there is one thing that Lawson said must be managed to give your plantings the best fighting chance. "Mulching is one of the most important landscape practices. Mulching helps to retain moisture in the hot summer months as well as insulating the soil in the coldest of winters keeping the roots warm and moist through the cold. Organic mulches help feed the soil, as it begins breaking down it adds beneficial nutrients back into the soil. Depending on the type of mulch used, most mulches will need to be replaced as often as every three months, with some lasting two years. Mulching helps to control weeds naturally. Applying a two to four inch layer of mulch around each tree and shrub helps to prevent weeds seed from germinating," Lawson said. If transforming your yard to become less dependent on water is your goal, selecting more drought-tolerant plants and even switching from regular sprinkler heads to drip irrigation can provide significant water savings. "Xeriscaping is a type of landscaping that reduces the need for extra water from irrigation. The idea is to choose plants that do not require excessive amounts of water other than seasonal rainfall. Xeriscaping does not always mean using native plants. Landscapes of this type typically use 1/2 to 2/3 less water than traditional landscapes," said Lawson. "Plants that are good for Xeriscaping include fescue and buffalo grasses, and ground cover such as Carolina Jessamine and Banks Rose. Perennials include Salvia Greggii, Perennial Verbena and Rosemary. Shrubs and trees include Cotoneaster and Texas Sage and Desert Willows and Live Oaks."